You don't want to leave your jewelry behind when you go to college. The problem is where you can store the jewelry that you want to bring. You don't want to leave an obvious jewelry box on top of your dorm dresser. Plus, you may not have room for a large jewelry box like that on your dorm dresser. You also want to keep your jewelry concealed yet easily transported. You don't have to throw all your jewelry in plastic bag. 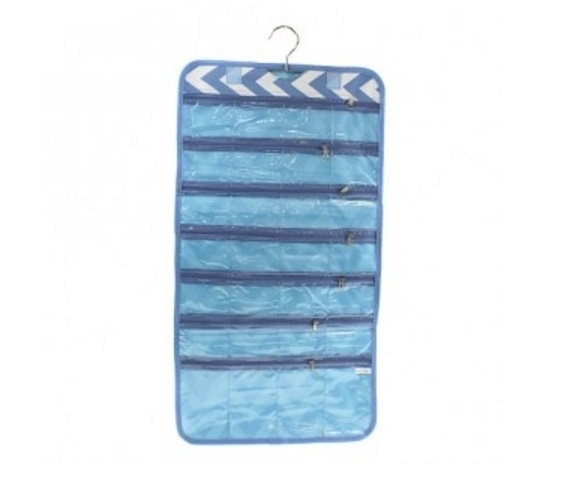 Simply keep those dorm essentials organized in our Compact Jewelry Folding Organizer in Blue. 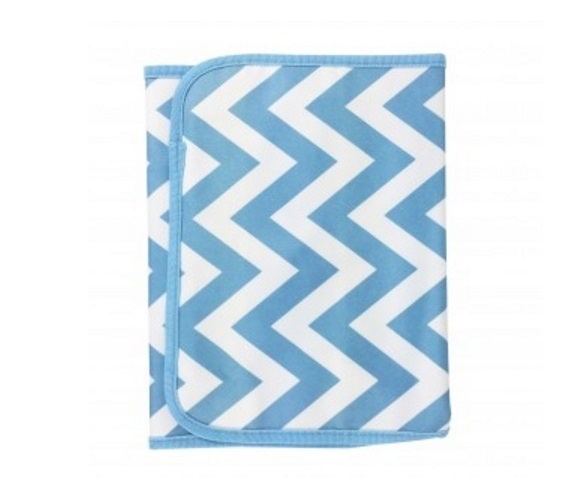 Our Compact Jewelry Folding Organizer in Blue not only has a cool design of a blue chevron print, it will also store a lot of jewelry while keeping it organized. With 28 zippered pockets, you'll be able to store your rings, earrings, necklaces and bracelets, but you'll also be able to keep them separated and free from falling out with the zippered closure. This dorm necessities item can also be stored in your college closet - with an attached metal hook, you can hang this dorm item among your shirts and other clothes to keep it easily concealed. 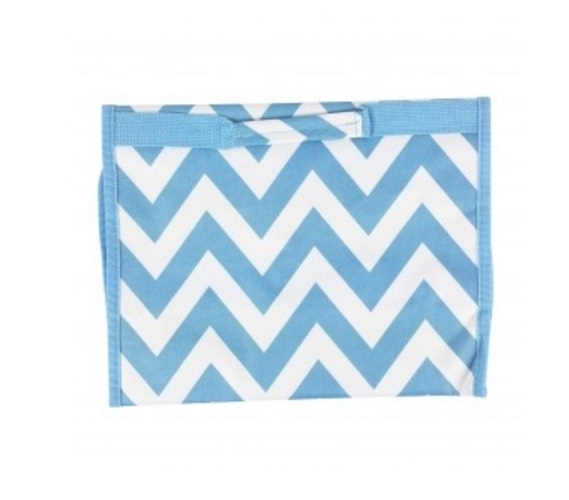 Plus, when you're moving to college or visiting family for the weekend, you can simply roll up this dorm organizer, secure it with the Velcro straps, and you're good to go!